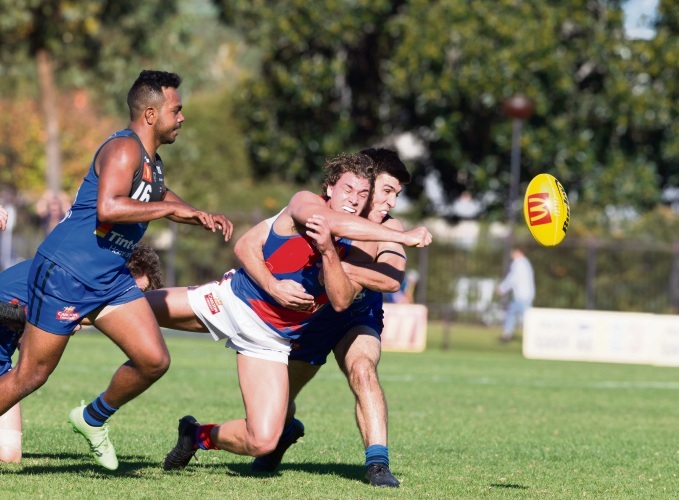 EAST Perth’s pride is on the line this weekend so we’re expecting a hard-fought game against them at Leederville Oval on Saturday. We won’t read too much into their big loss to Subiaco other than we expect them to be better. We will field a relatively similar side to the one that faced Claremont last weekend, but may have a forced change with Michael Lourey who hurt his ribs against the Tigers. It looked as though he had broken ribs at first, which would have him put him more than a month out of the game. But we have had good news since then with reports that it was a pinched nerve. He is backing himself to play, but I would think he was more of a 50-50 chance. Teenager Connor West was not far off debuting last week and will be in the mix again for selection, but it’s difficult to change a side coming off a strong win. It was great to begin our season with the 14.9 (93) to 12.3 (75) victory at HBF Arena. Losing Lourey early in the piece put pressure on our rotations and a lot of our midfielders had to spend more time forward rather than resting on the bench. To see the players hold on for the win when they were out of petrol at the end of the clash on a warm day was terrific. Aaron Black’s effort with 40 possessions and 16 tackles was an excellent example to set in his first game as captain. I’ve never seen a player get as many tackles as that in my time at West Perth. And not only that, he would have had four or five smothers and probably covered about 18km. We think the responsibility of being captain will help him become a better footballer.